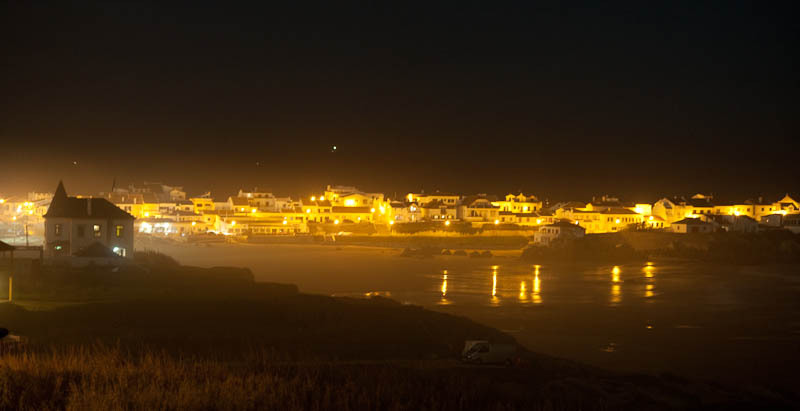 Some weeks ago we were in Peniche with fantastic people, everytime when I go home from our courses I think ”this was the best time”. Well the truth is that its the best time everytime! Thanks for a fantastic week Elisabeth, Maud, Danny, Leonard and Bart. And of course allways so enjoyable to stay at Captain Log House. Nice ride! First time in the air, small but a good start ;). The surfseason have started really nice this year. In all the years we have been in Klittmöller (since 2009) we have had small or bigger waves except for one year. This time we got a low pressure from the west. Good winds 3-4 days before the weekend got us the best conditions i have experienced in Klittmöller ever. Fantastic clean 1,5 m waves and sometimes even bigger. On the breefing i count to 94 participants on this years DKF Surf Symposium! Fantastic! People from Denmark, Norway and Germany come to the event, yes and also 2 swedes. Me and PM Jönsson from Halmstad. I have to say it again, we are very welcome to the symposium. Lise, Jesper and David and rest of the team give us all such a big warm welcome and give so much joy and good vibes. Its not only waves its nice dannish ”hygge” with good food and a lot of smiling and talking. This was the second year the had booked Chris Hobson as a coach for the more advanced surfkayakers. 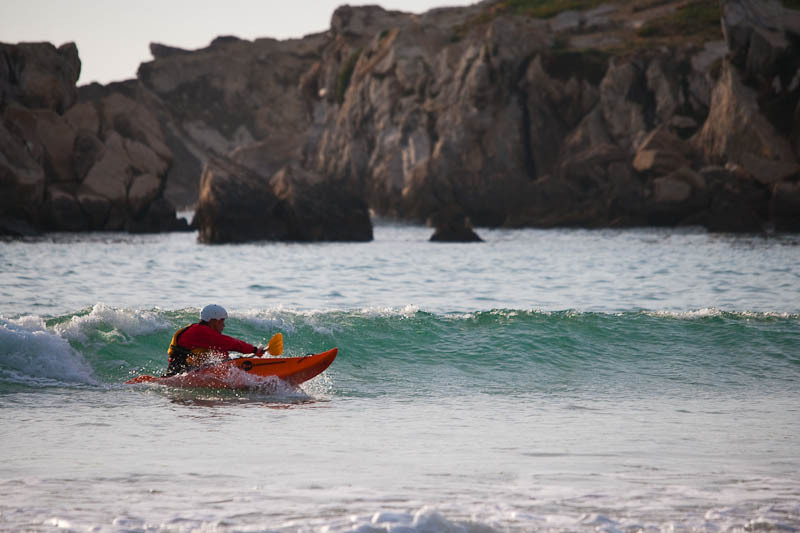 Chris Hobson will be at Aterras Surf Kayak Week in Peniche 5-11/11. Its great to have someone to look at you in this very technical sport. My own shape wasnt the best, it was six months since i was in the Watertech Ona. And it was nervous for a start, but along the day you be more use to the wavehight and got more nice waves and better sessions. Its was a very nice fun day and the weather was so warm so i just used my 1 mm Black Teck shirt. Oh a new Ride? Come to Portugal and test my new surfmachine! Day two it was the Dannish open, waves looked very small on the sunday but in the morning sessions it was surprisingly good around 2-3 fot. My body was full of soureness from the day before, arms, shoulder, abs and i was a bit suprised as i have had much paddling(surfski) in Sardinia. Though this is so much tougher and all this explosive moves you can only train in the reall environment. My qualifying heat was a disaster, on the second chance i got to semi final. There offcourse was the man who allways beat me Jesper Tilstedt (for the last time;)) and i didnt go through to the quarter. Impressing to see how well many of the guys do fine manouvers in these small waves. Its not easy i can tell you. Hope to see YOU next year in Klittmöller the last weekend of september. Thanks to the team Lisa, David, Jesper, Thisted Kayak Club, and all coaches and last but very important the kitchen staff. Now the surf is over for this time. Fantastic two weeks in the waves and meeting all amazing people at Captains Log House. It have been really fun as usuall. A nice mix of big and small waves we had. Thanks to all the participants who have enjoyd the waves, great to see you out there! Now its good night from a very tired and happy man. Grymt bra dagar med nya kursen.